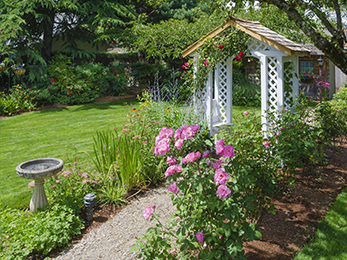 At Lawn Masters, we offer a complete Landscape Maintenance Service for your yard including Tree and Shrub Care, Bed Weed Control, Tree Pruning, Mulching Service, and Complete Landscaping Design and Installation. See the details of each service below and then call us today for a free quote at 636-230-0700. 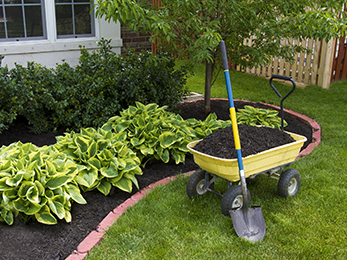 Lawn Masters specializes in high quality dark brown dyed mulch. 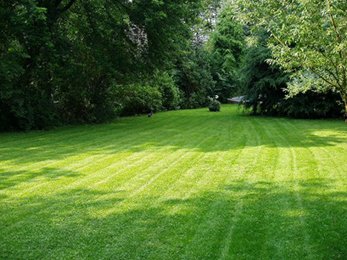 Lawn Masters is a continual service company, from week to week, month to month and year to year. This means that if you are on our route this year, you will be on our route next year unless you communicate differently. Please inform us if you plan to move or make other arrangements. Otherwise, we will continue next year with the same services that we have done for you in the previous. Our company continuously grows by referrals and we appreciate any business you send us.